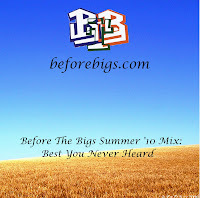 Spring officially started last week so it’s time we start putting together Best You Never Heard 3: Spring Edition. 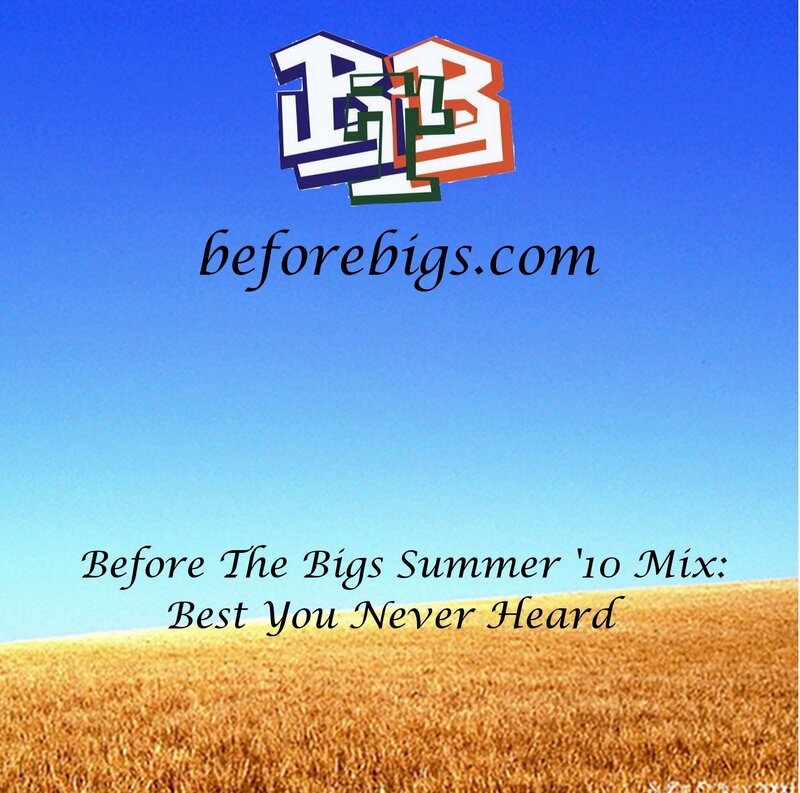 On our way to releasing that, we want to update you with each of the artists from Best You Never Heard: Summer Mix on what they are doing since being featured back in early September. The one song that featured artists that were already pretty big was “All Summer” by Kid Cudi, Bethany Cosentino (of Best Coast) and Rostam Batmanglij (of Vampire Weekend). Converse employed these three artists to create my favorite song of Summer 2010, just edging out “Pumped Up Kicks” (yeah that song came out last year, mainstream radio you are too slow!). Anyways I thought I would update you on what each of the artists are up to and include my personal favorite song from each. Kid Cudi is one of our favorite hip-hop artists because of his unique hip-hop style which has an alternative, yet highly enjoyable sound. That’s kind of a general way to describe him because most of you that read this post know who he is and have most of his music I’m guessing. Best Coast is an indie/alternative pop from Los Angeles. Lead singer Bethany Cosentino, who sang the chorus in “All Summer” has a solid unique voice for the type of beach rock Best Coast creates, which is similar to Wavves but more pop and female vocals. I’m not the biggest fan of Best Coast but I feel they are a group that can expand its sound and go from indie to mainstream within a couple years. The band recently released a music video for “When I’m With You” and are currently touring with Wavves, which is a smart move as their sounds are unique yet have similarities that complement each other. Here’s a song featuring both bands, who I’m slowly starting to like but haven’t yet jumped on their bandwagon. Vampire Weekend is a group New York City dudes who make awesome unique alternative rock that has a wide variety of influences. I realized they are signed to XL Recording, which means that maybe Tyler the Creator (also signed to XL) and Vampire Weekend should collaborate! Maybe Tyler the Creator makes a sick beat, raps in the verses, and Vampire Weekend throws in some of their instrumentals, does the chorus and Ezra Koenig to do some rapping like he did with his rap band L’Homme Run. Currently Vampire Weekend is touring and figuring out the sound and direction they want to take for their third album. I like several Vampire Weekend songs so much that it’s hard to decide on one favorite although “A-Punk” is so freakin’ catchy. So here’s my favorite Vampire Weekend song that was in one of my favorite movies, I Love You, Man. For this week’s mashup monday I decided to dedicate it to three emerging mashup DJ’s: The Friendly Giant, John Marr, and Party Ben. I have 2 songs I like a lot from each artist below to listen and download. First we got John Marr, a UK DJ whose first mashup below adds a more elelectronic feel to Snow Patrol’s hit single “Chasing Cars”. In the second mashup it’s more a remix as Mike Posner originally used the Miami Horror song in another song of his. I like the party feel of it. Next DJ is LA-based The Friendly Giant who is really good at mixing two catchy songs into a dope mashup. Two examples below. Lastly Party Ben is probably my favorite of the three just because he’s been around the longest from what I know. Here’s two of my favorites by him, they are kind of old but still great. Recently discovered the next big indie pop/rock band: The Smiles. A so-called “beach rock” quartet consisting of four talented USC students, in which none of them actually grew up by the beach. They met at University of Southern California in 2009 and in May 2010 came out with their debut EP, Hermosa (download here). The title of this 6-song EP originates from the city where it was recorded, Hermosa Beach, CA. They sound like a west-coast Vampire Weekend with indie pop hooks and overall just a delightful relaxing sound. Listen and download their EP single, “Cala Cola” and another one of my favorites, “California Girls”. If you dig The Smiles, check them out on facebook. Enjoy! Read more to see The Smiles lead singer, Will Sturgeon, do a cover of Grizzly Bear’s “Two Weeks”. If you liked the video above and you like The Smiles, check out Will Sturgeon’s youtube, which has gotten over 150,000 views. Enjoy! So we haven’t posted a ton of mashups on this blog but I thought I would give you a few that I heard lately that I like a lot and really want you to enjoy! Below are three mashups, two of them reminding me of why I love summer and the last by DJ Slink mashing up two of my favorite artists who are really going to blow up soon: Vampire Weekend and Kid Cudi. No this isn’t a summer playlist, but we are planning on giving you a 2010 summer greatest hits playlist and the music video below best fits in that playlist because in my opinion this is the best summer song of the year. Maybe that’s a little ambitious but I think once you here it, you will enjoy the instrumentals by Rostam of Vampire Weekend, Kid Cudi’s usual alternative rap and Bethany from Best Coast with her rock vocals. These three different artists all collaborate to make for a great song.